This hearty wheat pasta dish gets a boost from sweet and tangy tomatoes and creamy goat cheese sauce. 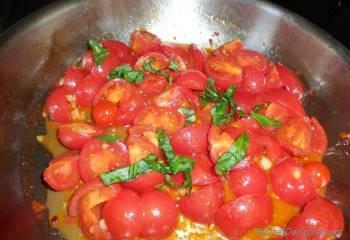 Ripe cherry tomatoes get amazingly sweet and juicy when cooked. I paired it with creamy goat cheese and fresh basil. 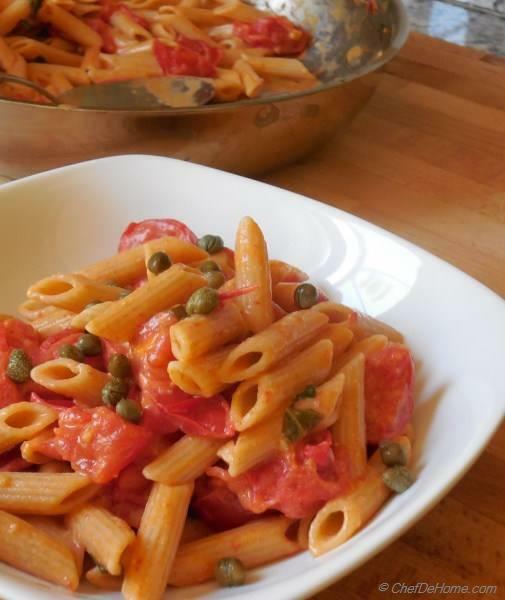 In-fact, salty capers were also a great addition to each bite. 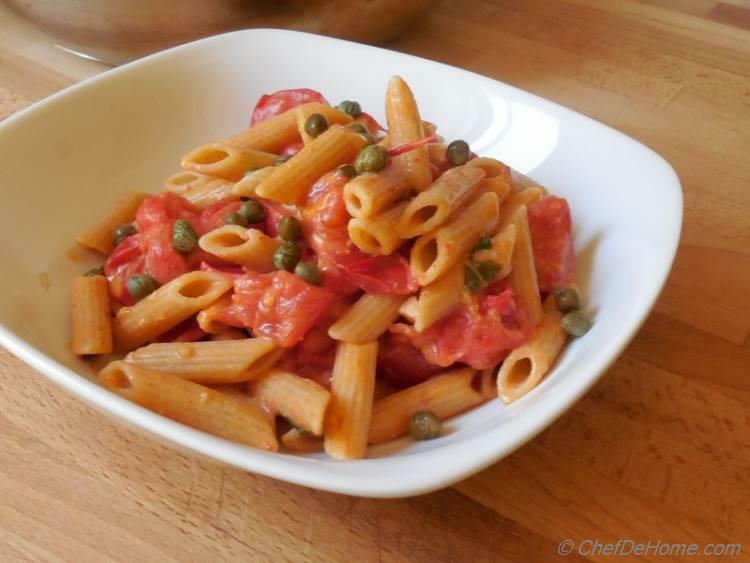 We are accustomed to use semolina pasta in my home. Every time I brought whole wheat version, it sat in my pantry for ages and ultimately expired and thrown away. Even if I cooked it for dinner, Vishal ate it half-hearted. So why waste few ingredients? I stopped trying it. 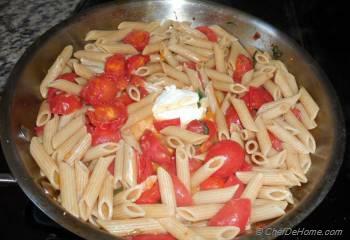 Quite frankly, even I not liked taste of whole wheat pasta until my friend shared few tricks to make it delicious. 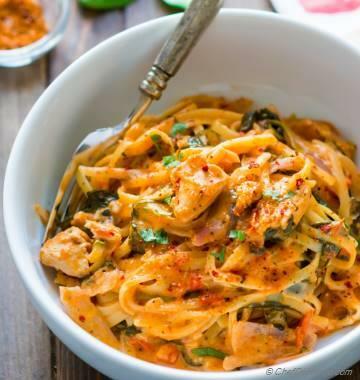 First and most important, it definitely needs juicy and hearty flavors to stand up to the taste and texture of whole grain pasta and second, cook whole wheat pasta a minute more than the package directions for a little smoother texture. So, I followed the advice and added all these sweet and juicy fresh flavors to make it flavorful yet whole grain healthy. Sometimes, I also add zucchini or dice rotisserie chicken in it to make hearty, yet easy and healthy weeknight meal. You can always use this sauce for regular pastas instead of whole wheat, but in my home, this fresh sauce is wheat pasta supporter. Enjoy Cooking and Let's eat healthy one meal at a time !! 1. Bring a large pot of water to a boil. Once water start boiling, add generous amount of salt (about 1-2 tbsp), cook pasta according to package directions plus additional 1-2 minute (this is optional, but I use this trick for better texture). 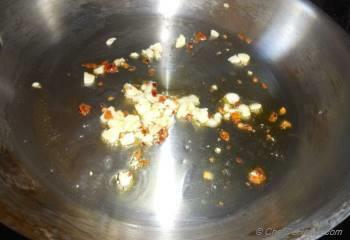 In meantime, dice tomatoes and chop garlic for making sauce. 3. 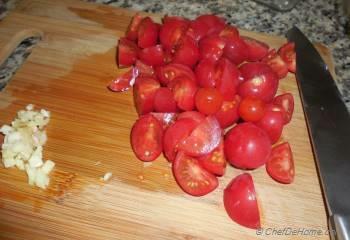 Add chopped tomatoes, salt and pepper; sauté over high heat for 3-4 minutes. Now add chopped basil. 4. 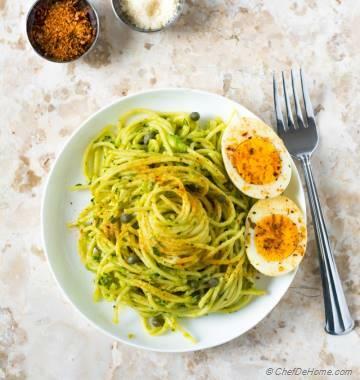 Drain and toss pasta and goat cheese with the sauce. Heat it through (about 2 minutes), remove from heat. 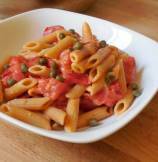 Top with capers and serve warm. 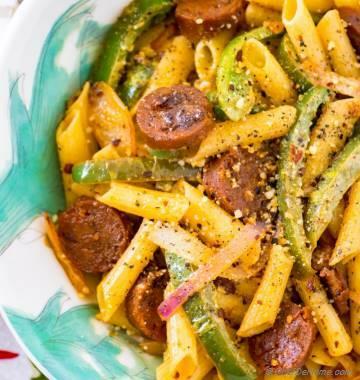 I specially recommend this pasta if you are hosting a pot luck. Its good idea to assign your guest a good filling dish which ensures good coverage for the whole meal.